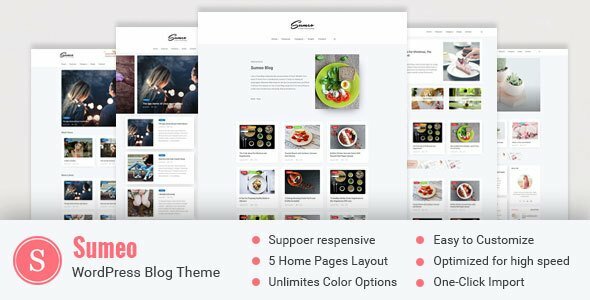 From love and passionate with WordPress, Sumeo come with modern and clean design will make your blog a great and personal look. This theme is made impressive for personal with many useful post format. It’s so easy to use and customize but still very flexible. Sumeo has anything a blog needs which help you can be built a wonderful blog.